Strange as it may seem, we at Itchy Feet, Itchy Mind grew rather fond of LCCT (Low Cost Carrier Terminal), Kuala Lumpur’s much-maligned budget air hub. 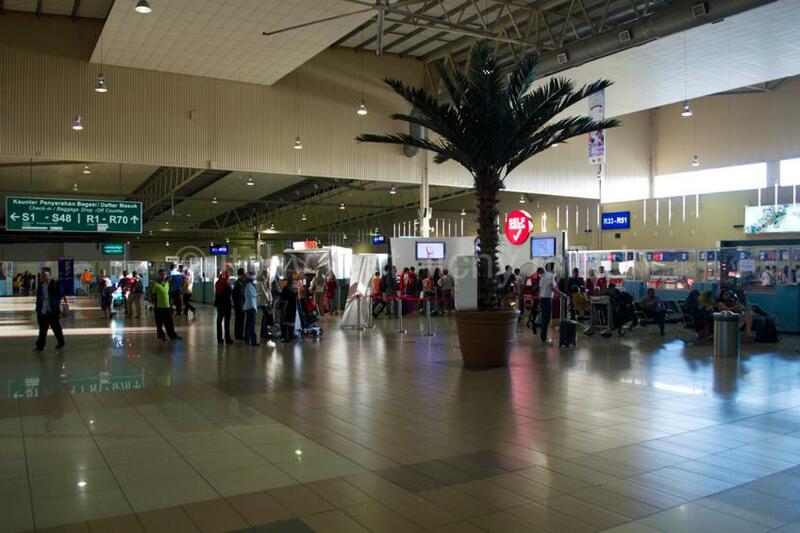 Sure, in the early years it felt more like an Indonesian bus station than a modern airport. And its location was amongst the least convenient in the world. But, despite the lack of frills, LCCT was good at what it did: getting departing passengers airborne with the minimum of fuss, and processing arriving passengers with similar efficiency. 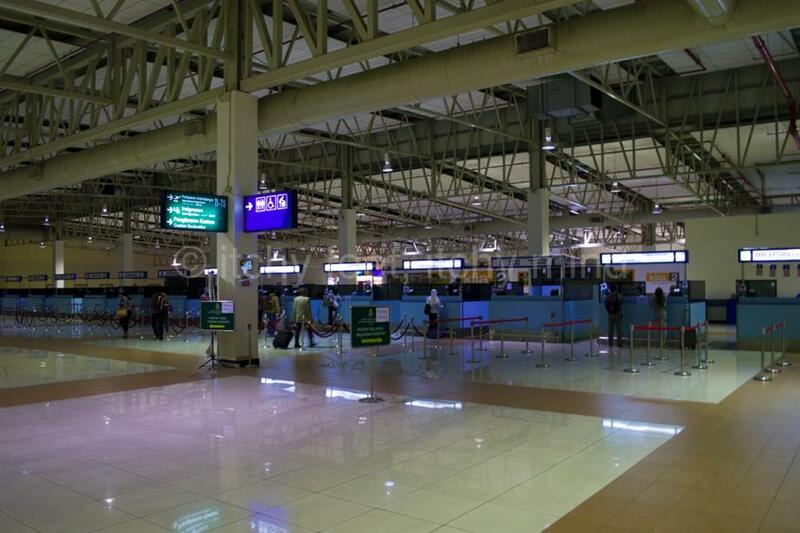 Although it may not have been pretty, it worked, often rather better than its pampered big brother, KLIA. 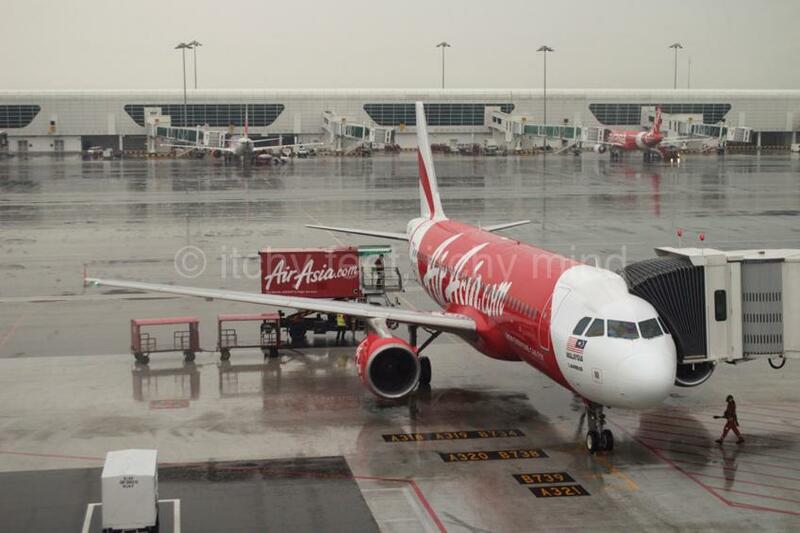 Flying out of LCCT during its final week of operations was an odd experience. The crowds were much reduced, from the unusually calm check-in desks, through to the spookily quiet immigration and security areas. 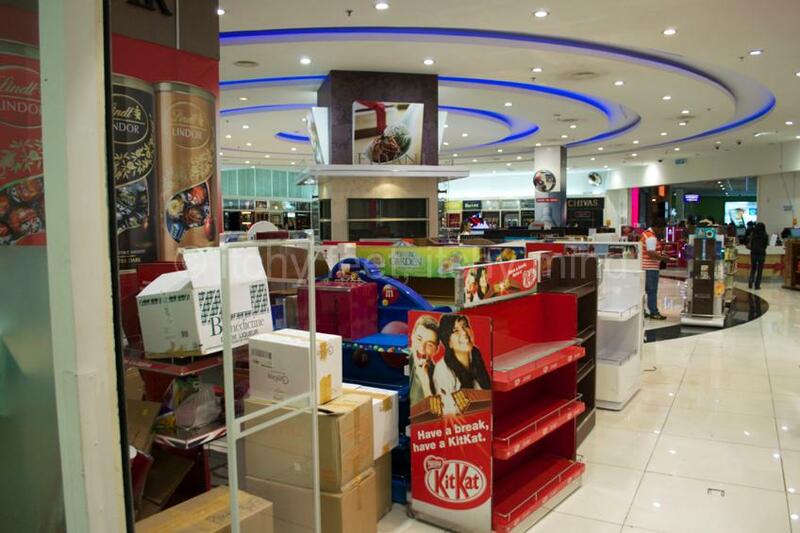 And the duty free shops were not just lacking in customers, they were also lacking in goods. 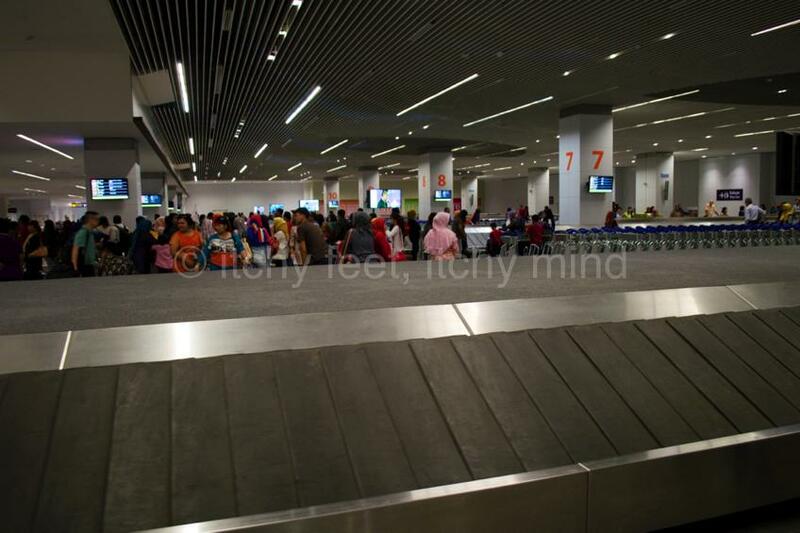 KL’s new low cost terminal, KLIA2, opened for business on May 2 2014, more than two years late, and at least 2.3 billion ringgit over budget. 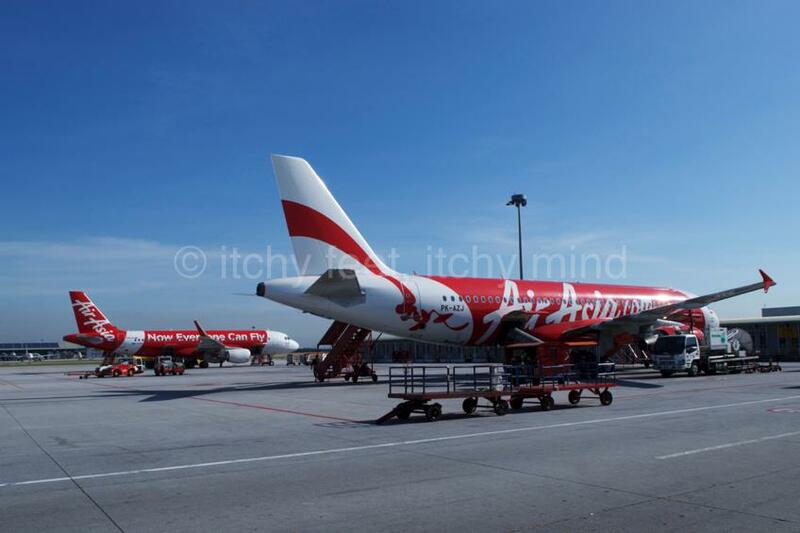 Air Asia flights continued to use LCCT for another week more, before it too said a reluctant farewell to its long-time home. Given the serious problems which have surrounded the whole KLIA2 project, our first impression of the new airport was surprisingly good. Even under grey skies, the external design looked elegant and simple. And the pouring rain brought home the benefit of covered air bridges. We failed to spot any of the cracks, subsidence or water pools which have led to safety worries. So far these issues have been limited to parking and taxiing areas, not the runway itself, but presumably the facility would have to be closed temporarily if this ceased to be the case. 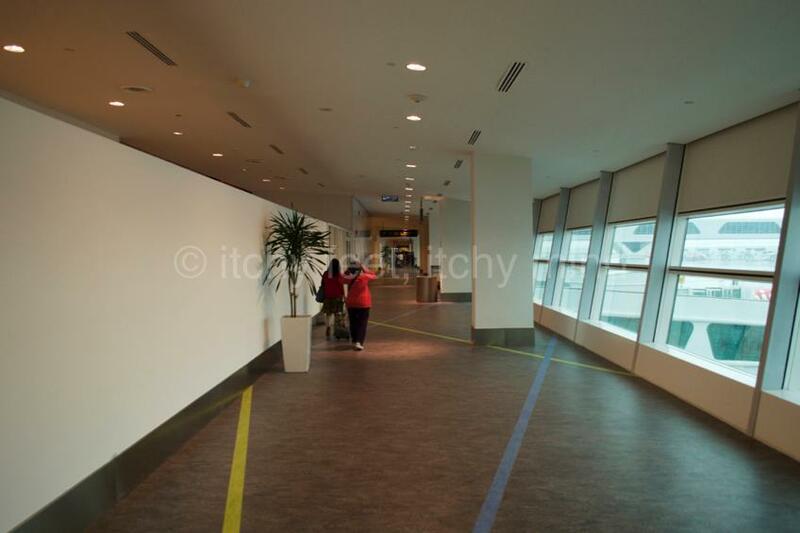 Inside the terminal building, the clean, simple lines continue, complemented by clear signage, pleasant toilets and an abundant supply of trolleys. Those trolleys may well come in handy for the more far-flung gates. Malaysians unused to walking more than a few metres a day may find it all a bit of a challenge. 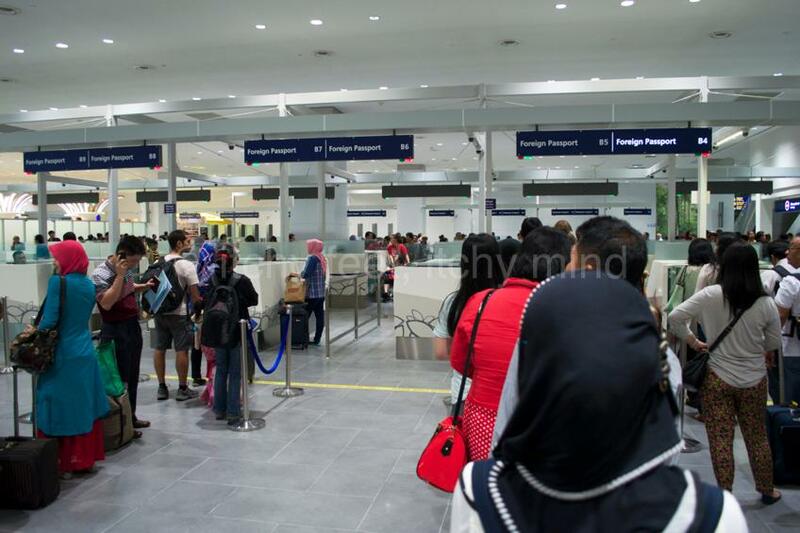 Immigration has more counters than it did at LCCT, but many of these were unmanned, so if anything, the queues were longer. Presumably staffing levels will need to be raised substantially if KLIA2 is ever going to accommodate its supposed capacity of 45 million passengers a year. 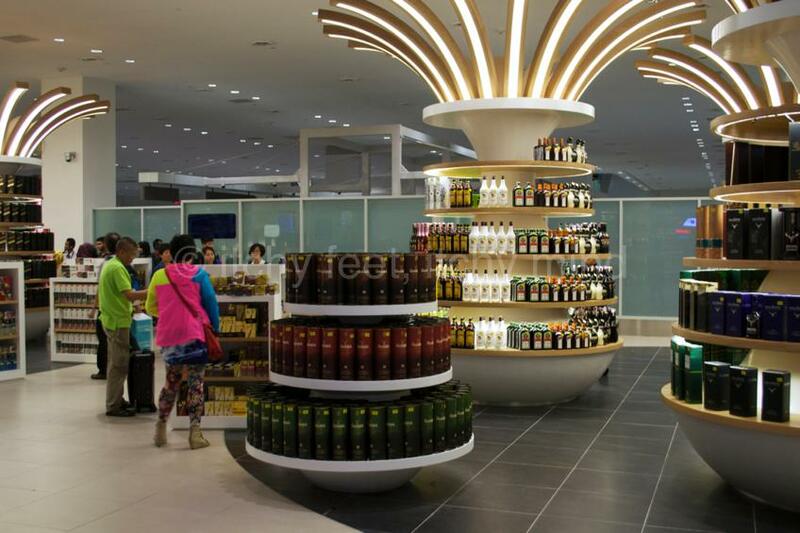 After passing through immigration, passengers are funnelled though duty free. In our experience, people do not need much encouragement to buy alcohol, cigarettes or other discounted goods. Quite apart from being annoyingly in-your-face, it could also present safety problems: rushing crowds and bottles do not tend to mix. One of LCCT’s key selling points was that luggage came through so quickly. Unfortunately, this does not appear to be the case with KLIA2. Teething problems are inevitable, but if long waits become the norm, as they are at KLIA, then that will be a significant black mark against the new hub. 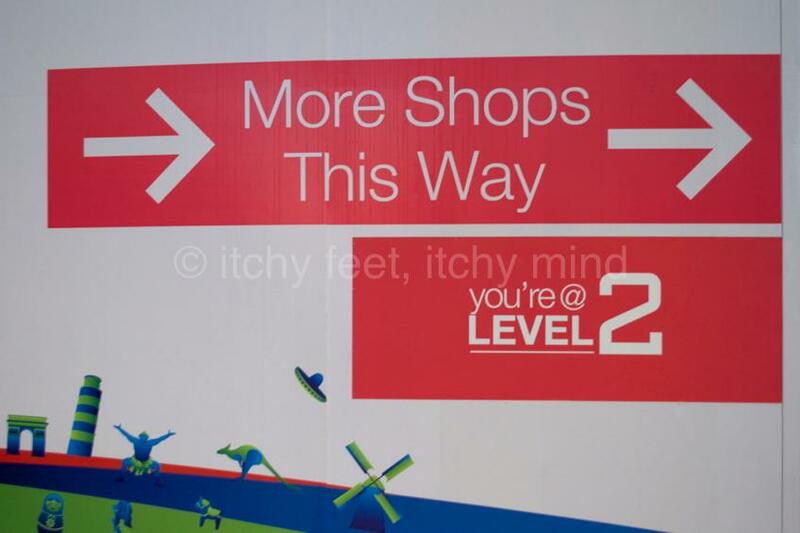 Another black mark, if you are not a shopaholic, is the sheer number of land-side commercial outlets. Having a decent choice of eateries is one thing, even the mini-market could come in handy, but do you really need so many fashion outlets? Quite apart from giving the impression that KLIA2 is a shopping mall with a runway attached, it also means a long walk from customs to your transport connections (past all those shopping opportunities, naturally). 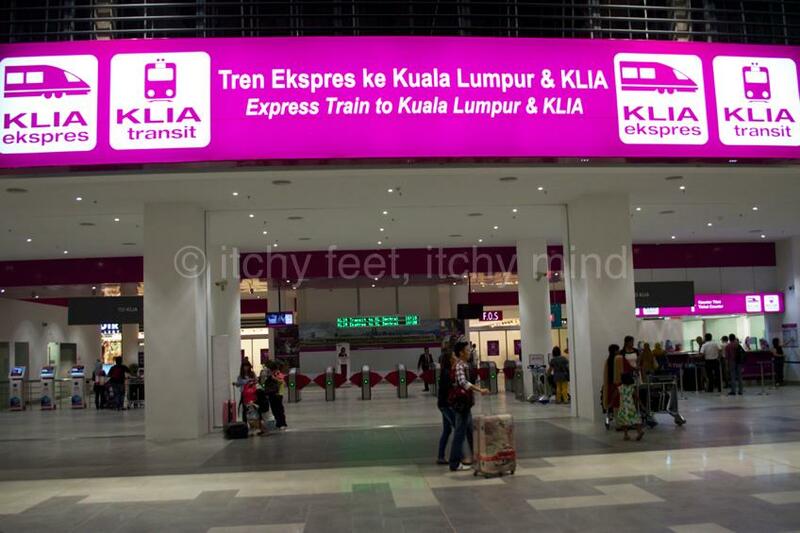 Speaking of transport, KLIA2 is connected to central KL by high-speed train, thanks to a costly (100 million ringgit) extension of the Express Rail Link. 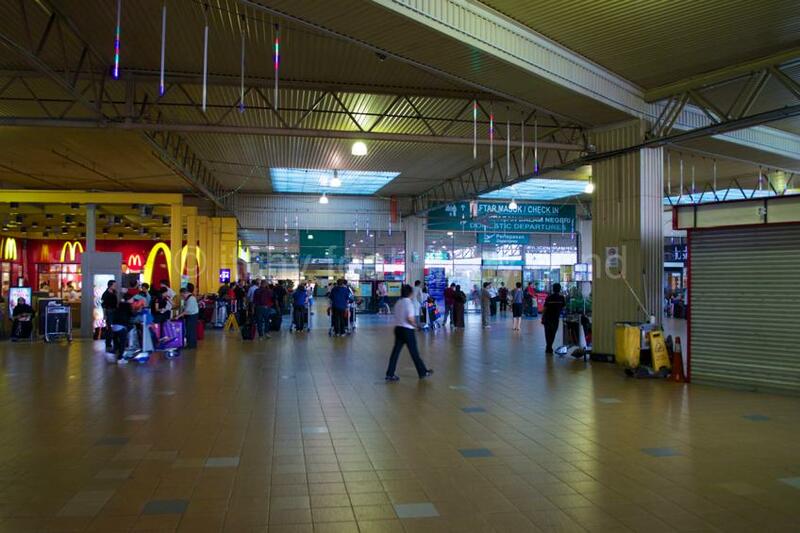 The train can also be used to transit between KLIA and KLIA2. This is certainly an improvement over LCCT, although those on a tight budget will no doubt opt for airport buses instead, such as Skybus and Aerobus. 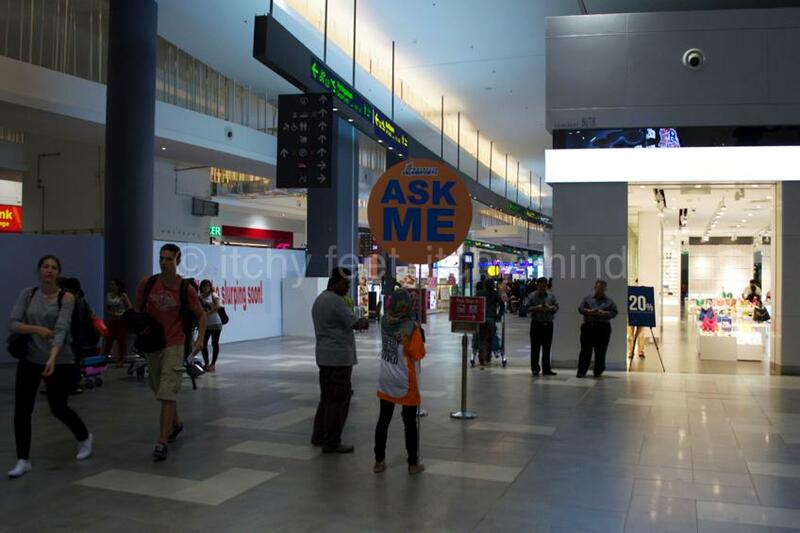 Overall, KLIA2 shopping mall is much better than it could have been, particularly in terms of design, signage and transport connections. But we cannot help thinking that it would have cost much less than four billion ringgit to have made major improvements to LCCT. Then again the possibilities for kickbacks would have been much reduced, and we all know how much the Malaysian government and its cronies love their kickbacks. If you enjoyed this piece, you may well like How safe are South East Asian airlines? and Ambitious plans to turn round Malaysia Airlines, but will it work? Previous PostHow many tourists did Malaysia really get in 2013?Next PostWhat does the future hold for Malaysia Airlines?